If you are a client you may have been prescribed a range of supplements during our kinesiology sessions. Below is a list of the supplement companies I typically use with details on how to order. Click on each title to expand the box. If you prefer I can order them for you. My clients can claim 10% off your first order at www.bodykind.com using the code BODYKIND10. If you are a client and you have been prescribed the heavy metal protocol you can find details below of the ingredients and how to take them below. Personal dosages will have been identified in your kinesiology treatment. Instructions: The 5 ingredients should be taken daily within 12 hours of each other. If you are making a heavy metal smoothie you can make it more palatable by adding fruits such as bananas, oranges and dates. 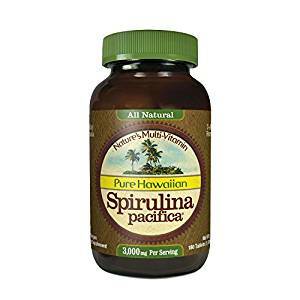 Hawaiian Spirulina is an important part of removing heavy metals and it also supports the nervous system. This brand shown in the picture is the highest quality supplement available. 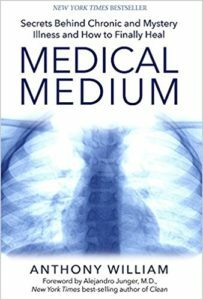 It is available directly through me, from Bodykind or Amazon as either tablets or powder. The tablets are easier to take than the powder given the strong taste. Nutrex Hawaii Spirulina Tablets 500mg 400 Tablets at Amazon or the same tablets at Bodykind. Nutrex Pure Hawaiian Spirulina Pacifica 454g Powder at Amazon or the same powder at Bodykind. Check both suppliers to see which is cheaper at the time of purchase. Dulse binds to the metals and removes them from the system and therefore provides a key function in the heavy metal protocol. You can purchase dulse flakes, strips and add it to your food, or, if you don’t like the taste like me, you can purchase capsules Bernard Jensen – Nova Scotia Dulse 100 tablets. You can also purchase Dulse Powder sometimes which can be added to smoothies or sprinkled on food if you like seafood taste. At the time of writing this is out of stock on Amazon. Coriander is a key party of the protocol as it pulls metals out of the system. Make sure you are adding a good size full handful to your food and smoothies each day. You can chop it and add it to salads, sauces, vegetables, stews and curries. You can also make pesto out of it by blending it with garlic, a little oil, some seeds and lemon. Barley Grass Juice Extract chelates heavy metals from the body. Make sure you purchase the JUICE powder which is much more concentrated than than just plain barley grass. Take 1 teaspoon per day mixed in water or a smoothie.